News Update: You can book with us now for the FIA WEC 6 Hours of Spa 2019. Please call us now on 01707 329988 to reserve your place. Le Mans comes to Belgium. 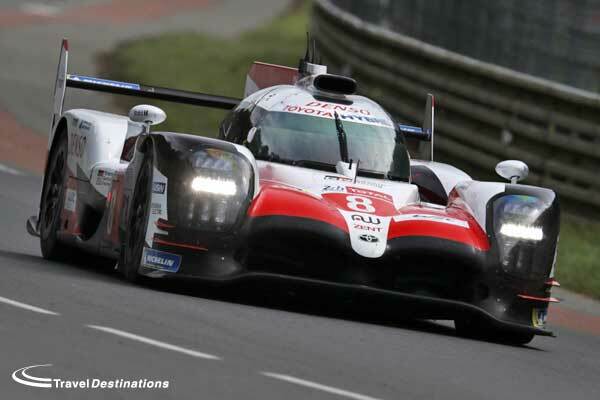 For the FIA WEC 6 Hours of Spa 2019 we are pleased to be able to offer our customers the choice of a camping and a hotel option close to the circuit including tickets and your choice of Channel crossing from the UK included. With the Spa circuit being within 4 hours drive of Calais, it is possible to travel to and from the circuit in a weekend. By travelling outbound on the Friday and returning on the Sunday, you will be able to enjoy all of qualifying on Friday night and the race on Saturday. The Eau Rouge campsite is privately owned and run and offers a peaceful and green environment for camping and caravans. The campsite includes recently refurbished shower and toilet blocks, optional water and electric supply as well as a small bar/restaurant. Less than 10 minutes drive from the circuit, this family run 3 star hotel complex offers everything that you could need for a great weekend. They have comfortable ensuite rooms, indoor and outdoor swimming pools, and a great restaurant with friendly bar.